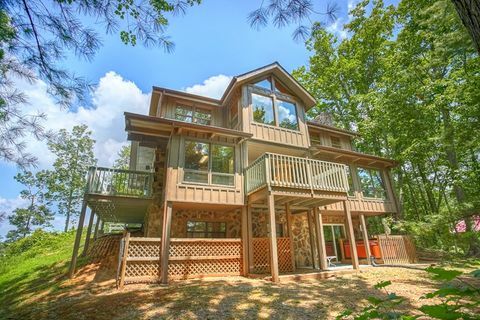 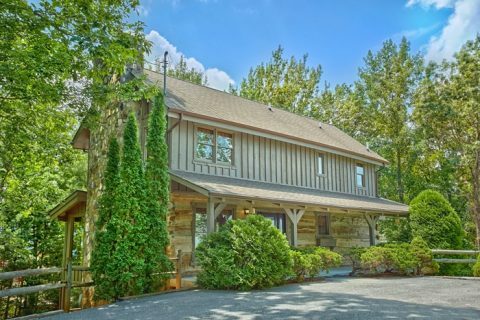 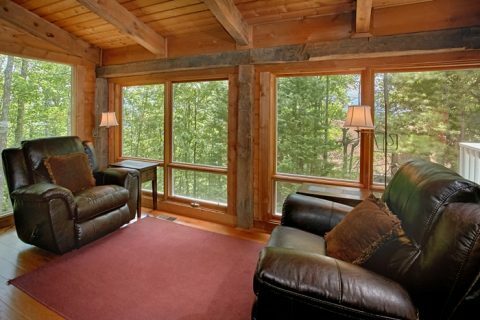 Start your rustic Smoky Mountain vacation in this private Gatlinburg cabin rental. 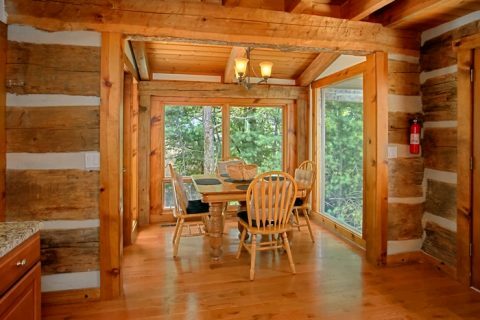 This authentic log cabin features new renovations to make your stay in the Smokies a luxury experience. 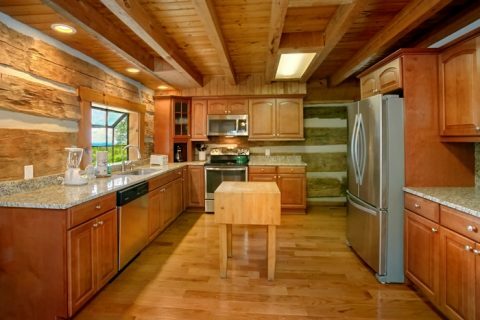 With new flooring, appliances, and furnishings, this secluded cabin with a view is bound to make your stay special. 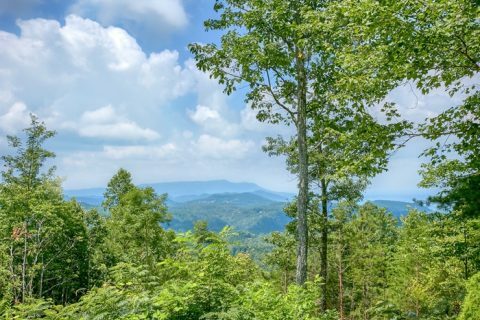 No matter the season or the occasion, "4 Seasons Gatlinburg" offers an escape to the Smoky Mountains and the beauty of nature for families and romantics alike. 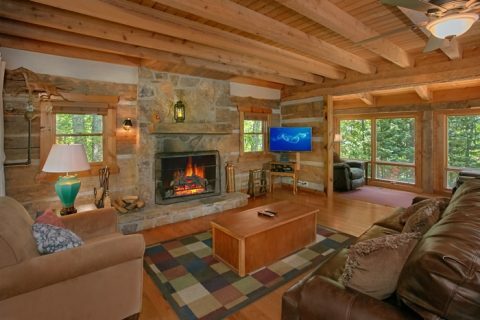 This private Smoky Mountains cabin charms with its hand hewn, chinked logs, providing the outward appearance of early Smoky Mountain pioneer cabins. 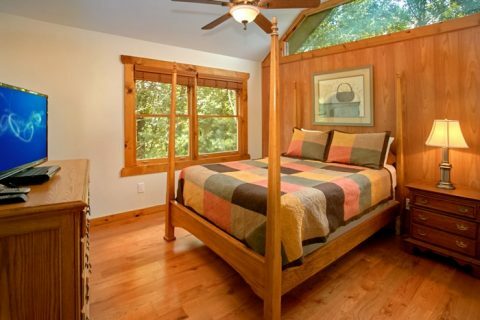 On the inside, this 3-bedroom cabin rental embodies the nostalgia of log home cabin living for those seeking to get away from the buzz of modern life. 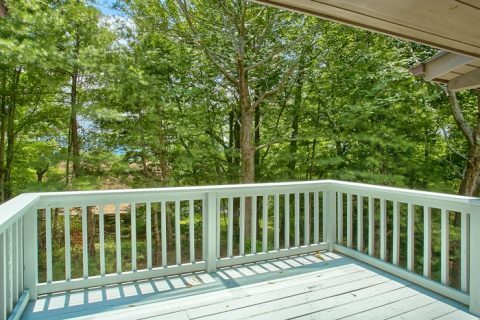 Start the day off with an early morning breakfast while enjoying the bright sunshine and spectacular views in the sunroom. 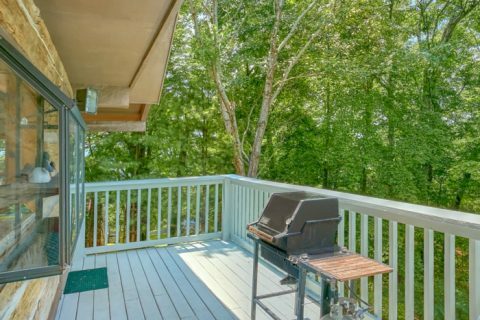 During the summer, enjoy a good book on the cabin's deck or host a family cookout with its gas grill. 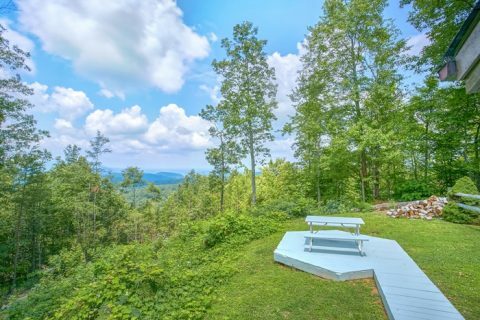 Then, step down to the picnic table in the yard to enjoy your meal with a Smoky Mountain vista in the background. 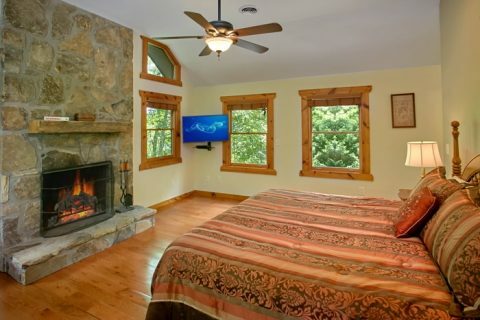 This private Gatlinburg cabin rental also provides the warmth and ambiance of its 3 romantic stone fireplaces during the cooler months. 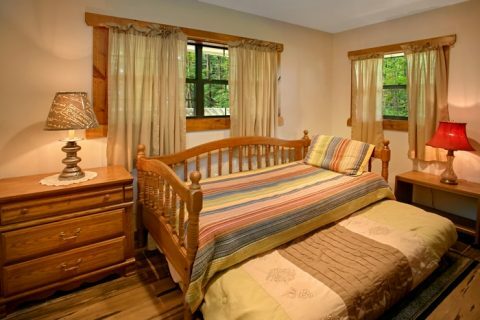 Each of this secluded cabin’s 3 comfortable bedrooms comes with a private bath and scenic views of the mountains. 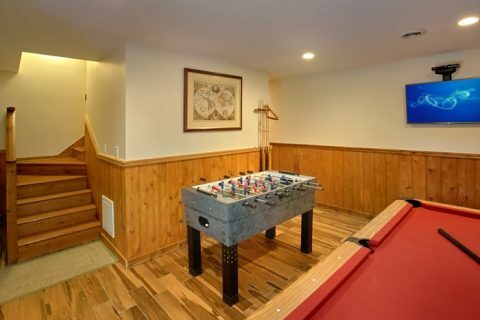 While the kids enjoy a game of pool, foosball, or just watch TV in the game room, you can relax just the way you like. 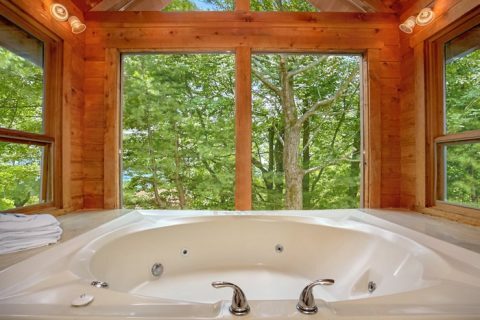 Soak in the master bedroom's jacuzzi tub while you gaze at the serenity of the surrounding pines. 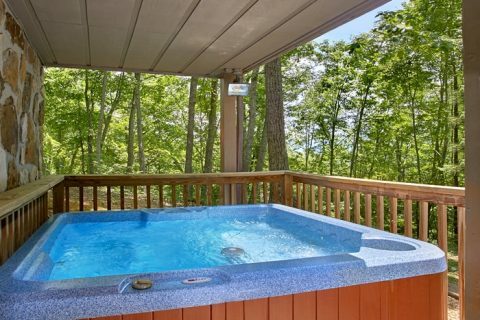 Throughout the year, relax in this 3-bedroom cabin's hot tub on your covered porch while gazing at the surrounding natural beauty. 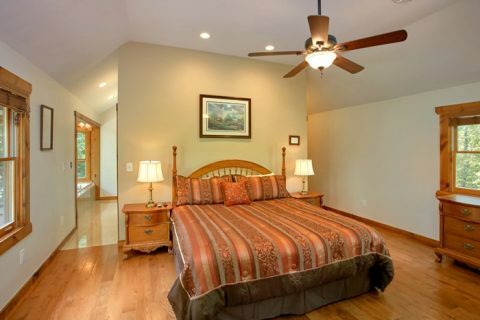 Other modern conveniences like wireless Internet access are offered in your rental. 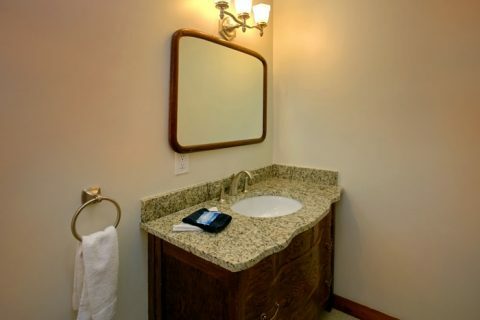 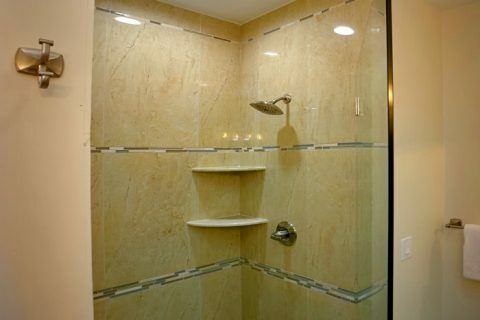 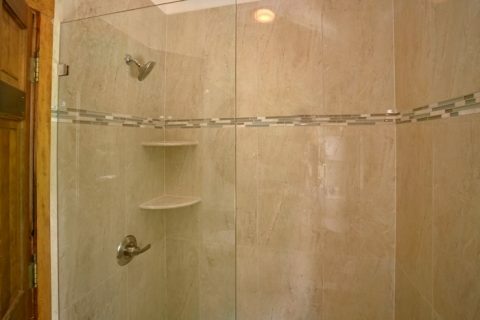 Your cabin also offers newly redesigned bathrooms with beautiful custom showers. 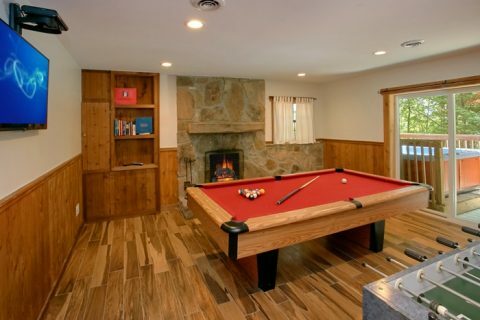 Though your private Smoky Mountains cabin provides the seclusion of nature, Downtown Gatlinburg attractions such as Ripley's Aquarium of the Smokies, unique shopping, and putt-putt golf at places like Hillbilly Golf remain minutes away. 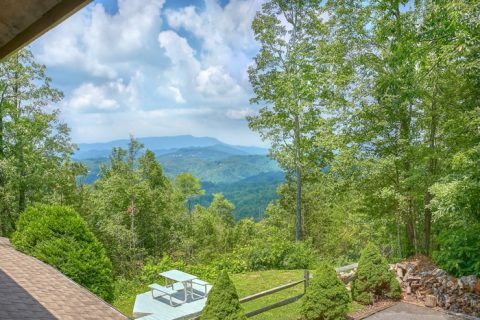 "4 Seasons Gatlinburg" allows families to make everlasting memories in the mountains and affords couples a romantic getaway. 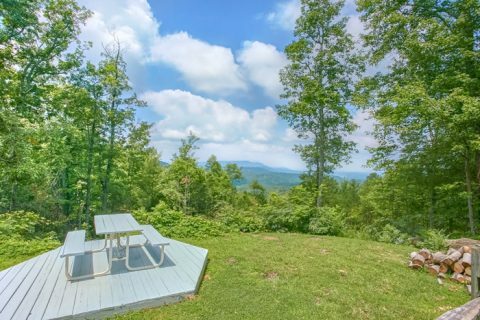 Book this 3-bedroom cabin online with Cabins USA for immediate ONLINE SAVINGS!